If you find that large condoms still don't cut it, it might be time to size up. 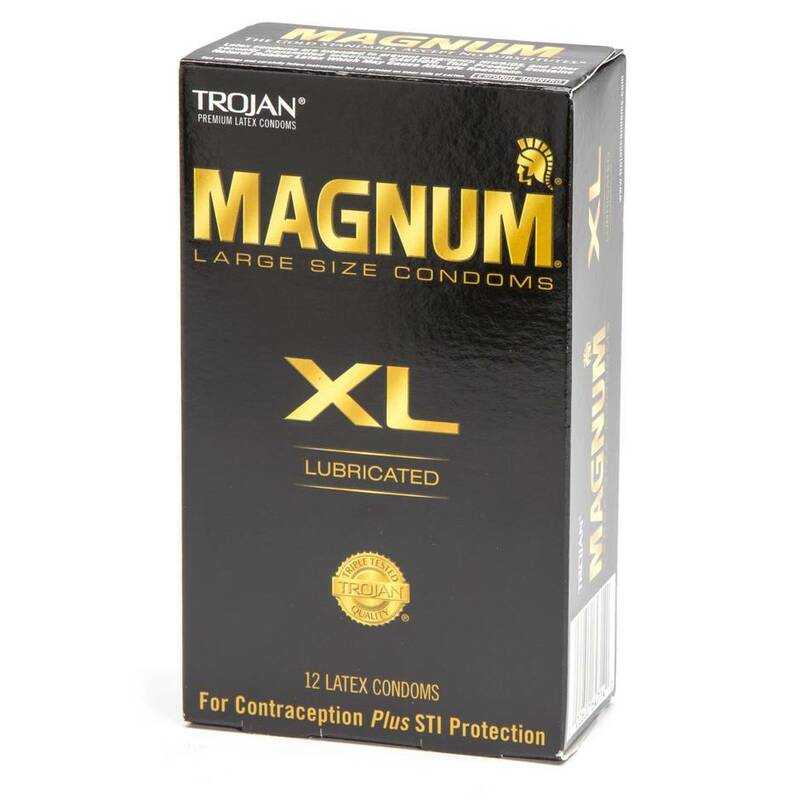 Trojan's famed Magnum XL condoms are a whopping 30% larger than standard condoms, giving improved comfort and security to those of you with meatier members. Measuring in at 9 inches in length and 2.6 inches in diameter, these condoms are recommended only for larger penises. Those with slightly smaller dimensions may find that the extra room can cause slippage, which is not only uncomfortable, but unsafe. The premium latex is tapered near the opening to give improved hold and grip, with the reservoir tip creating a safer and more comfortable fit. Extra lubricant on the outside means that these are not better for you, but for your partner as well.